IN reality, all fruits are so good and uniquely nutritious that it is almost impossible to rank one above the other. Almost everyone has had a doctor tell them to incorporate fruits into their diets but, faced with a lot of varieties and species, it becomes difficult to know which of them to prioritize. Here are some nutrient-packed fruits you probably might want to eat more of. High in antioxidants and packed with vitamin C; potassium and flavonoids, lemon is one of the most nutrient-dense citrus fruits gifted to humans by nature. With these, the fruit has variously been linked to heart disease and diabetes prevention. Research has also shown that consuming lemon could significantly reduce weight gain and improve skin quality. Though they seem too small and pulpy to be any different, berries are another power-fruit packed with antioxidants, fibre and an abundance of vitamins & minerals. They are undoubtedly good for better cognitive and motor functioning such that nutritionists often recommend consuming them for dessert, in breakfast or through fruit smoothies. Experts claim that one large apple contains 130 calories, with none coming from fat. Apples have zero sodium and cholesterol which makes them great for cardiovascular health. Research has shown that apples are capable of improving neurological health, protecting neurons against oxidative stress-induced neurotoxicity. They could also lower the risk of Alzheimer’s. Apples are a good source of fruit fibre and could aid weight loss. Its list of phytonutrients readily suggests that the fruit is ideal for optimal growth, development and overall wellness. Yummy! 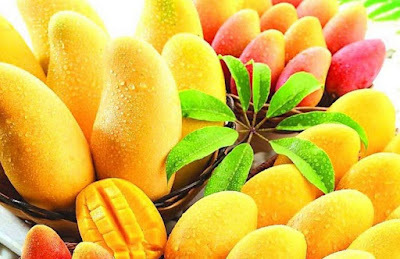 From lowering the risk of cancer and and enhancing the skin to reducing heart disease risk, mango is undoubtedly packed with nutritious values that almost defies explanations. They are a healthy source of carbohydrates and contain an abundance of calcium, manganese, magnesium and iron and − of course − zero cholesterol. Mangoes are also great for sexual, brain and eye health because of their vitamin E, B6 and A content. Slimy? Avocados are loaded with heart-friendly mono-unsaturated saturated fatty acids that is comparable with the major component of olive oil. Th oleic acid in avocados is associated with reduced inflammation. The fruit is also packed with fibre which aids weight loss, reduces blood sugar and lower the risk of many diseases. Avocados are generally good for the eyes, libido arousal, may help prevent cancer and absorb nutrients from other plant foods. Asides being one of the world’s most appealing fruits bananas contain an assortment of vitamins that readily make them very healthy for consumption. Containing pectin and a moderate amount of resistant starch, they are an ideal option for blood sugar moderation. Their dietary fibre content aids digestion and weight loss. For athletes, banana has been shown to reduce exercise-related cramps, protect cardiovascular system and provide the excellent nutrition for workouts. With its widely varying species, grapes are an excellent source of phytonutrients and contain resveratrol, an antioxidant believed to aid skin health even while aging and increase blood flow to the brain. Grapes also possess antibacterial properties that help fight polio virus, herpes and simplex virus. They also help lower the work pressure on the kidney by reducing uric acid.